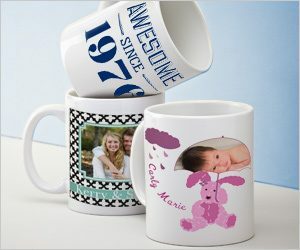 Vistaprint: Personalized Mug Just $5.99 SHIPPED! You are here: Home / Great Deals / Vistaprint: Personalized Mug Just $5.99 SHIPPED! Personalized gifts are always a nice touch and right now, you can get a personalized mug for only $5.99 plus FREE shipping from Vistaprint when you enter promo code SIP at checkout. These are perfect for Mother’s Day or as a teacher appreciation gift. Note: This offer is only valid for new Vistaprint customers.